LAKE BUENA VISTA, Fla. (April 22, 2018) – Disney’s theme park of exploration is a place unique in all the world. 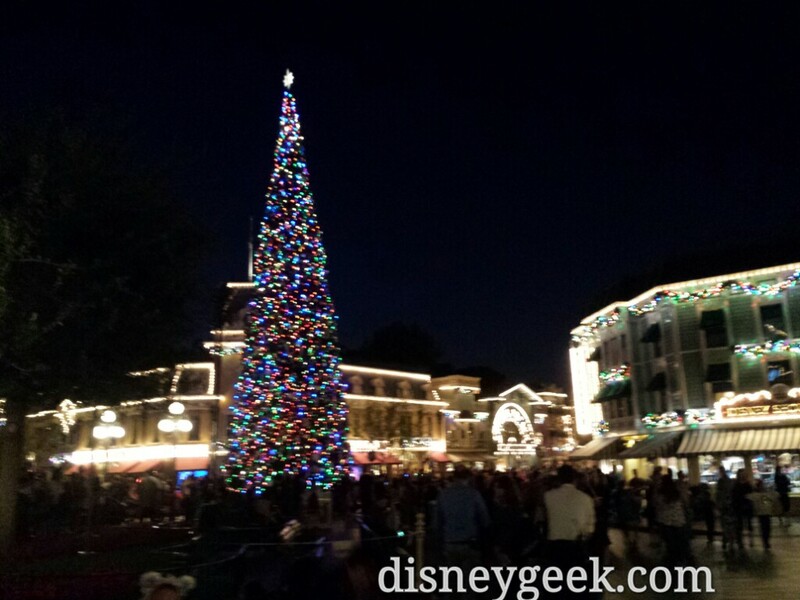 Here Walt Disney World guests can venture to the snowy flanks of Mt. Everest, raft down a rainforest river, view wildlife on an African savannah and travel light years to an alien planet where banshees fly and mountains float. Today — fittingly as the world celebrates Earth Day 2018 — Disney’s Animal Kingdom celebrates its 20th anniversary in a ceremony marking two decades of magical adventures and unforgettable experiences. 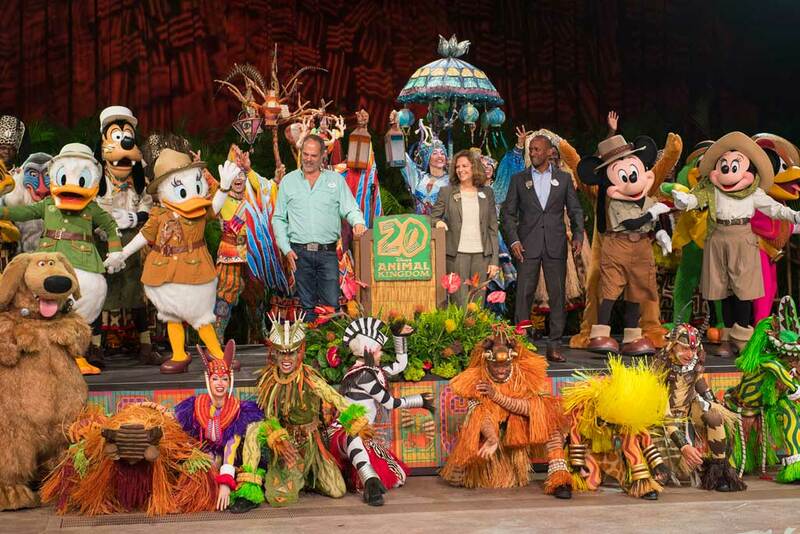 Gathered at the Harambe Theater, set of the popular Festival of the Lion King stage show, drummers, dancers, stilt performers and Disney characters joined Disney executives in a ceremony observing the 20th anniversary and the kickoff of the two-week Party for the Planet celebration, on now through May 5. Joe Rohde, Creative Portfolio Executive for Walt Disney Imagineering, led the creation of Disney’s Animal Kingdom and reflected on its 20-year history. Djuan Rivers, vice president of Disney’s Animal Kingdom noted how the park has grown over the last two decades, and its profound impact on guests and conservation efforts around the world. Rivers also called out the success of the Disney Conservation Fund, aimed at reversing the decline of imperiled creatures in the wild. To date, he said, the fund has directed more than $70 million to save wildlife, inspire action and protect the planet. In their lush surroundings, more than 2,000 animals – some endangered, all unique and colorful – call Disney’s Animal Kingdom home. Commemorating the milestone year, the 500-acre adventure park will offer animal encounters, family-friendly activities, special photo opportunities, backstage tours at Rafiki’s Planet Watch, specialty desserts and other activities during the Party for the Planet. Tiffins, a signature restaurant, will host themed dinners hosted by animal care experts. 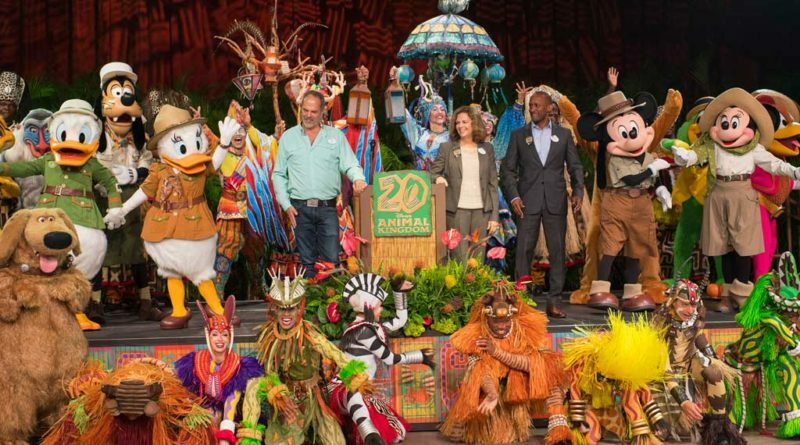 On May 26 Disney’s Animal Kingdom will debut even more entertainment with Donald’s Dino-Bash! Guests can join Donald Duck and friends in DinoLand, U.S.A. for playful character encounters and a DJ-powered dance party. It’s all part of the Incredible Summer of fun that kicks off across the Walt Disney World Resort Memorial Day weekend.